An historic site with various architectural layers from the early 9th century, incorporated into a 15th century tower, and a later church. The round tower stands 27m high with conical cap. The flat-headed doorway, which originally would have been some 15 ft above the ground is now less than 1m above ground level. The square tower built against it dates from the 15th century. This building has three matching towers at its corners. 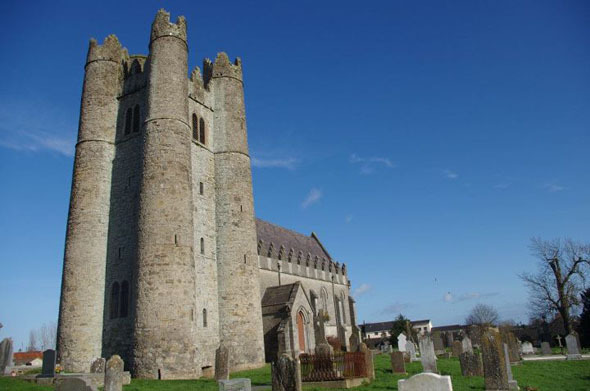 The square tower holds several medieval tombs including that of James Bermingham and the double-effigy tomb of Christopher Barnewall and his wife Marion. The Church of Ireland dates from 1847 by Joseph Welland, and was designed in an Early English Gothic with crow-stepped parapets. 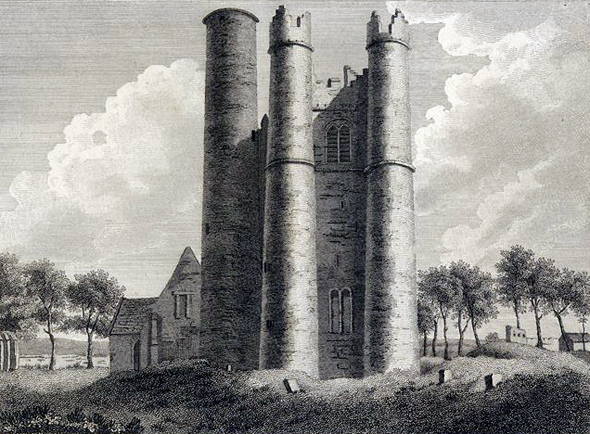 The round tower was restored in the 1860s.